HOUSTON, Texas (March 24, 2017) – Houston-based 501(c)(3) non-profit, non-partisan organization, Helping A Hero, will present a specially adapted home for local wounded hero, MSgt (Ret.) Blaine Scott, USMC, on Monday, April 3 in New Braunfels, Texas. 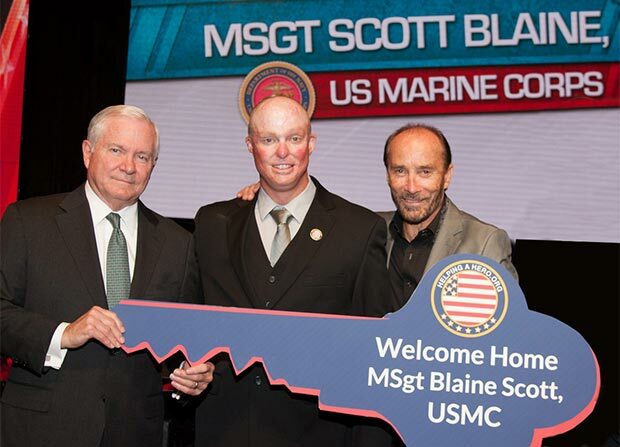 Country icon Lee Greenwood and special guests will officially present the keys to MSgt Scott in honor of his sacrifices for our country. Families are encouraged to attend to show their support and children are welcome at this patriotic event. MSgt Scott was severely wounded by an IED explosion in Iraq that burned over 40 percent of his body in 2006. After extensive rehabilitation and a second deployment to Afghanistan he served as the Staff Noncommissioned Officer In Charge of the Wounded Warrior Battalion-East, San Antonio Military Medical Center Detachment (SAMMC) where he supervised the care and transition of the wounded, ill and injured Marines assigned to the hospital until his retirement. MSgt Scott and his wife Lilly have demonstrated a strong commitment to helping other wounded Veterans and requested a handicap accessible Wounded Warrior Suite for their home so they could invite Veterans in crisis to stay with them without displacing their own children. In Fall of 2016 the Scott family suffered the loss of their daughter, Isabella. The 12-year-old was the victim of bullying and taunting at school due to her epilepsy. Isabella committed suicide in their home just a few hours later. The Scott family was beyond devastated but has become an incredible example of doubling down and pushing through incredible heartache to help others, especially Veterans and children contemplating suicide. Lee Greenwood will sing “Wind Beneath My Wings” as a part of the ceremony as a Butterfly Release is held in memory of Isabella. “Blaine and Lilly are humble leaders who love America and are committed to serving other wounded warriors who struggle with their new normal. Helping a Hero is honored to play a small role in their road to recovery through this home that will give this family a new beginning” said Meredith Iler, Chairman Emeritus of Helping A Hero. The home’s furniture is being donated by Rooms to Go. The ceremony will be held in a gated community and the community is invited to attend as guests of Copper Ridge. Join Helping A Hero April 3, 2017 at 11:00 a.m. at the Copper Ridge Subdivision located off HWY 46 and Copper Ridge Rd in New Braunfels, TX. Look for the flags and Helping A Hero signs to direct you to parking. Rudy’s BBQ has donated a BBQ lunch to follow the event. Master Sergeant Scott, 44, was born in Mount Ayr, Iowa. He graduated from Grand Valley High School in Kellerton, Iowa. Upon graduation in 1992 he joined the United States Marine Corps. After graduation from Recruit Training, Private Scott attended Marine Combat Training and Infantry Training Battalion at the School of Infantry. He then reported to Security Forces School in Chesapeake Bay Virginia. After a steady rise through the ranks, on August 20, 2006, SSgt Scott was severely injured in an IED blast in the town of Rawah, Iraq. He was sent to Brooke Army Medical Center in San Antonio, Texas. SSgt Scott would spend the next year and a half recovering from his wounds sustained in the blast. While a patient at BAMMC, he was promoted to Gunnery Sergeant. After his recovery in April 2008 GySgt Scott reported to Division Schools, 1st Marine Division aboard Camp Pendleton California. In 2011 GySgt Scott reported to Wounded Warrior Battalion-East, San Antonio Military Medical Center Detachment (SAMMC) and, served as the Staff Non-Commissioned Officer In Charge (SNCOIC). He supervised the care and transition of the wounded, ill and, injured Marines assigned to the hospital. He was promoted to Master Sergeant in July 2012 and retired in January 2015. 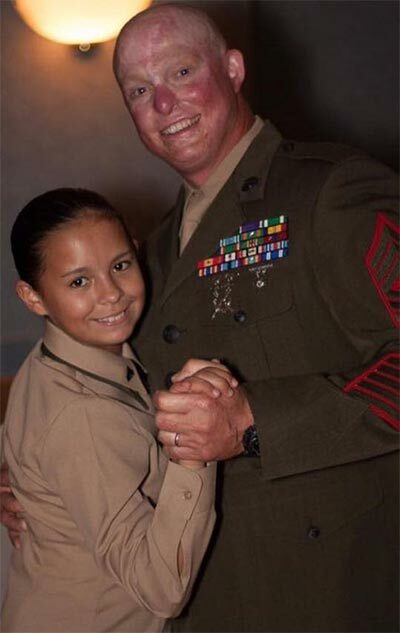 Master Sergeant Scott is married to the former Lillia Munoz of Rancho Santa Margarita California. 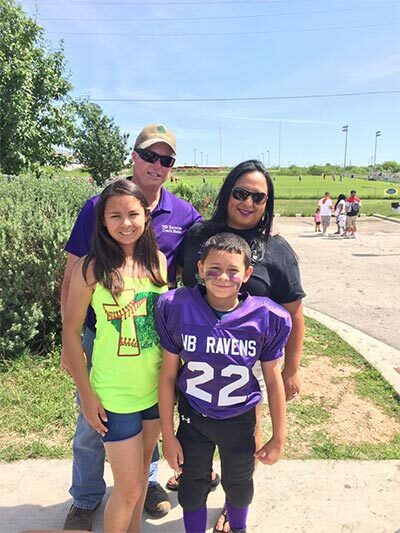 They have 3 children, Adriana, Isabella (dec’d), and Blaine and reside in New Braunfels Texas. His personnel awards include the Purple Heart, Navy Marine Corps Commendation Medal, Joint Service Achievement Medal, Navy Marine Corps Achievement Medal 2nd Award, Combat Action Ribbon, and Good Conduct Medal 6th Award. Founded in 2006, Helping A Hero provides support for military personnel severely injured in the war on terror by providing specially adapted homes for qualifying service members through partnerships made with the builders, developers, communities, and the wounded warriors. Helping A Hero strives to engage the community in providing services and resources for our wounded heroes and their families. Additionally, the nonprofit organization provides additional support programs such as marriage retreats, caregiver retreats, recreational activities, emotional support, and financial support. Through the generosity of patriots across the nation, Helping A Hero has awarded over 100 homes in 22 states since 2006. These adapted homes promote a successful transition from military to civilian life and allow wounded veterans to regain some of their lost independence. Helping A Hero adapted homes are not free. The homes are typically valued around $250,000 and the veterans have a minimum $50,000 mortgage. In addition, the veteran commits to reside in the home for at least 10 years as his/her primary residence. More information on Helping A Hero can be found at www.helpingahero.org.